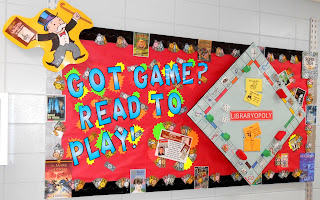 Many thanks to Denise who has shared more of her wonderful bulletin boards. 'During the month of April, we are celebrating National School Library Month. 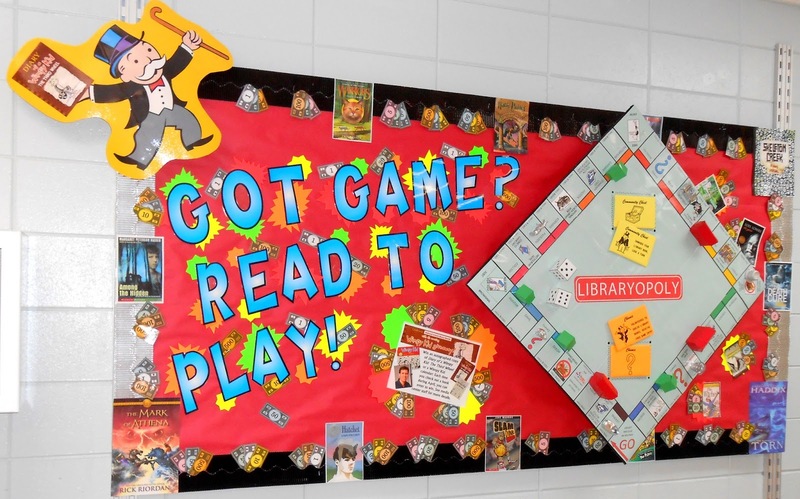 Each time students check out a library book they can enter to play Libraryopoly(our version of Monopoly). As students move around the board and land on author spaces, they answer a question about the books the author has written. Correct entries will be placed in a drawing to win an autographed copy of Diary of W impy Kid: The Third Wheel'.